How does Hillel's answer summarize the whole Torah? In Shabbos 31a, Hillel addresses a potential convert who asks him to summarize the whole Torah, and he says, "What is hateful to you, do not do to others." This is a nice d'var Torah, but it seems to be lacking when trying to explain the whole Torah. This summary may cover all of the halachos "Bein Adam L'chaveiro" (between people), but it seems to fail to cover the halachos "Bein Adam LaMakom" (between man and God). How has this been explained? This is what Hillel the Elder meant when he said in regard to the fulfillment of this commandment, "This is the whole Torah, whilst the rest is but commentary," and so on. For the basis and root of the entire Torah are to raise and exalt the soul high above the body, reaching unto the Source and Root of all the worlds, and also to bring down the blessed light of the En Sof upon the community of Israel, as will be explained later, i.e. into the fountain-head of the souls of all Israel, to become "One into One." This is impossible if there is, G-d forbid, disunity among the souls, for the Holy One, blessed be He, does not dwell in an imperfect place, as we pray: "Bless us, O our Father, all of us together, with the light of Thy countenance," as has been explained at great length elsewhere. Rashi (Shabbat 31 s.v. d'alakh) explains (in his first explanation) that Hillel's statement in light of Proverbs (27:10) which refers to not forsaking the one who is your friend and your father's friend. Rashi understands this as referring to God (see his commentary there). Accordingly, Hillel's intent was that one should please God, just as one would like to be pleased. By identifying the "friend" as God, Rashi gets around the issue of the passage being limited to interpersonal mitsvot (bein adam l'havero). R. Yaakov Lorberbaum explains in Nahalat Yaakov (Leviticus 19:18) that Hillel's response: דעלך סני לחברך לא תעביד actually means דעלך סני ולחברך, לא תעביד. That is, he was telling the proselyte that the (two-fold) principle that underlies all the mitsvot, is not doing that which is repugnant to us, or to others. The former, includes the mitsvot bein adam lamakom (between man and God) which are for man's benefit, and the latter includes the interpersonal mitsvot. On one foot, the idea is that a person must sensitize him/herself to that which is outside themselves. We need to leave room for the needs of others in our worldview, if we do not do this we won't leave room for God or even our real needs. The entire Torah is about subduing our ego and going against the natural inclination of all animals (humans included) by putting the needs of others into our view. I will, hopefully, edit this answer soon with a slightly broader explanation and sources. Not the answer you're looking for? Browse other questions tagged torah-study bein-adam-lachavero hillel bein-adam-lamakom . Does listening to Torah content count as the mitzvah of Talmud Torah? Where does the concept of bitul Torah come from? How can I understand the torah text? Does a Rov have to answer a question? 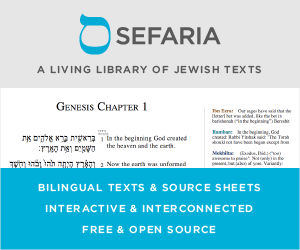 How would you describe the literary style of Torah? Does one violate the Torah prohibition of tormenting a widow if she has remarried? Why does Torah study rein in the Evil Inclination? What does the torah say about racism? What's the difference between Try Ubuntu and Install Ubuntu option in VirtualBox?